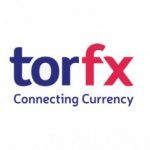 Luke Trevail, a currency exchange specialist at forex brokers TorFX, looks at the factors driving the pound’s exchange rate this week. The news that we’re hearing across Europe is becoming a little like a bad soap opera. Britain, the moody outcast who needs the support of its nearest and dearest but is close to abandonment just prove its point. Italy, the gossipers trying to please everyone but with a forked tongue. France the good looking one on the fringes monitoring the situation and Germany, the matriarchs trying to keep a steady ship despite the problems at home. Deutsche Bank, Germany’s largest lender is facing a €12.5 billion bill for mis-selling mortgage bonds prior to the financial crisis in 2008. The fine has been imposed by the US Dept. of Justice and is triple the amount that the bank had put aside to cover the payout. This shock amount could be enough to derail the bank and could send shockwaves through the European financial system. Commerzbank, Germany’s second biggest lender has this week announced that they are cutting 9000 jobs from its workforce, bad timing given what else is going on. For Deutsche Bank, shares hit a 30 year low earlier this week and despite a mild gain traders are still ‘shorting’ the bank with the expectation that they will seek a bail out from the German government or European bank. It cannot be stressed how large a problem this could become for the Germans, but with 12500 employees in London if Deutsche Bank did end up collapsing the reverberations of its failure will be wide reaching. That said, it’s difficult to see how the euro wouldn’t suffer terribly as Germany would be rocked by the news. GBPEUR markets have been fairly calm this week, with little key data being released until just this morning. The UK economy grew more than previous estimates. We are 0.7% up from 0.6% according to the Office for National Statistics. The ONS also stated that the service sector grew by 0.4% in July, which of course is post Brexit. Statistician Darren Morgan said “this fresh data tends to support the view that there has been no sign of an immediate shock in the economy”. Sterling was therefore upbeat on Friday morning, but ran out of steam as the day went on, ending the week more or less where it started around the €1.15 level. Arguably the news from the German banks is yet to filter through to the market but may well do so as that issue develops. As ever, the market is sensitive to risk and can be erratic so you should plan ahead if you know that you are needing to buy currency. The twists and turns in this soap opera can be an emotive journey with surprises at every turn so proceed with caution and I’ll see you ‘down the Vic’.